While I love the Flatiron building for its iconic New Yorkness I’ve never though much about the neighborhood. Working near there for a year now I’ve been meaning to write about my discovery of the square block of West 18th and 19th streets between 5th and 6th avenues. The places on the avenues I could do without, but once you step off of them there’s a wealth of interesting and surprising places to behold. 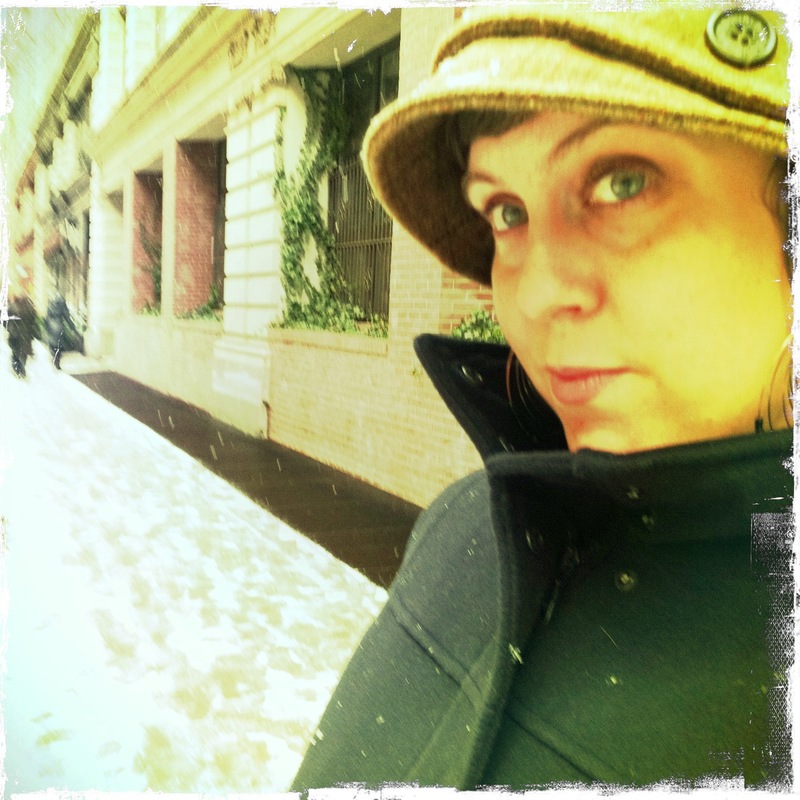 I’ve been meaning to write about this little block for quite sometime, but now that I’ll be leaving my job in Chelsea next week to go back to working in Brooklyn I decided to take a walk on a snowy lunch and enjoy these places one more time. 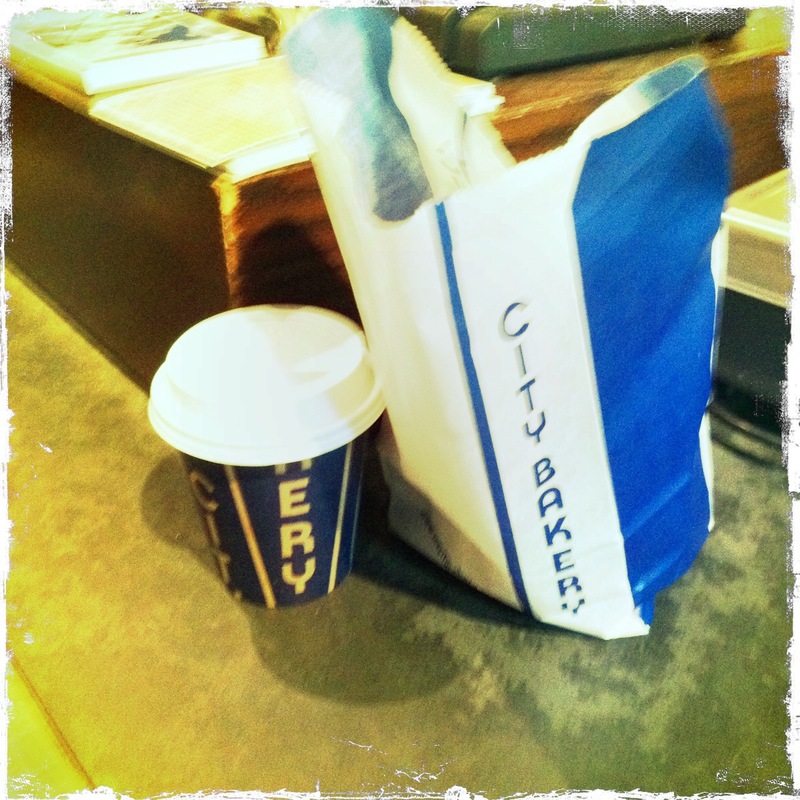 City Bakery Pretzel Croissants: Worth the Price. Nearly every Friday morning (and other mornings too) around 11 my stomach starts to rumble and often I give in to the temptation to reward myself with a crispy, yet chewy, salty and delicately buttery Pretzel Croissant from City Bakery. Home to unique, delicious, heavy on the butter and also on the wallet backed goods, City Bakery is famous, but somehow I had never really paid attention to it until I started working in the area. They are known for their hot chocolate, but I will warn you: it’s a meal in itself. Choose wisely: pretzel croissant OR hot chocolate. And I just got word today they have started to make chocolate croissants again after four years of not. It looks like I might be leaving the neighborhood just in time! Paper Presentation is located just a few steps closer to 6th avenue from City Bakery. It runs the length of the block between 18th and 19th streets, so it’s also great to wander through and avoid elbowing through the crowds on 5th or 6th avenues. 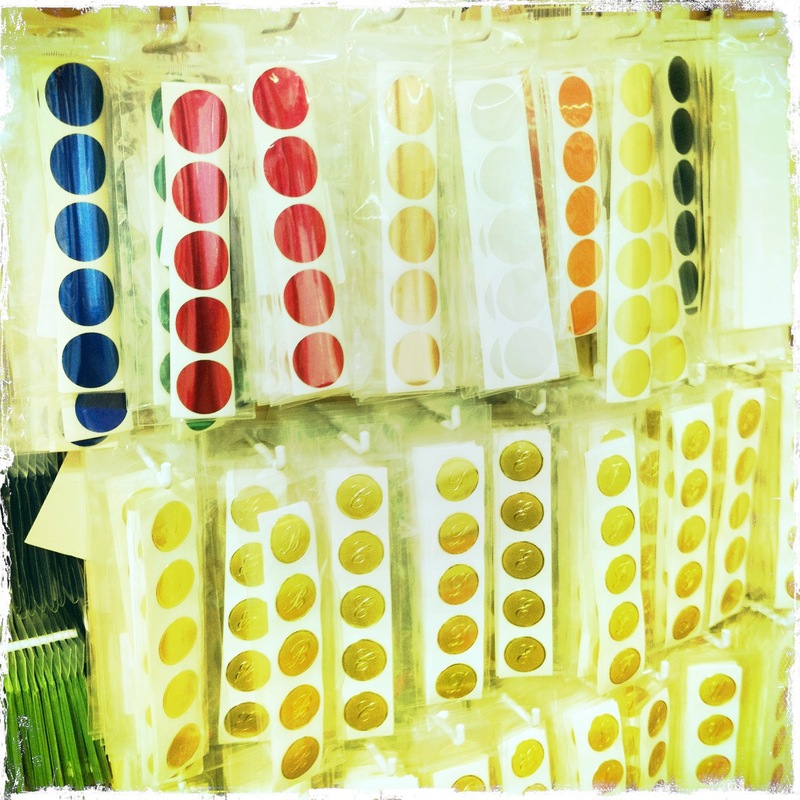 All kinds of great things: stickers, paper plates, cards, envelopes, handmade folders and portfolios, supplies for crafting and scrapbooking… I could look in here all day. If you’ve crossed through Paper Presentation to West 19th street you can easily find my two favorite stores, almost facing each other. 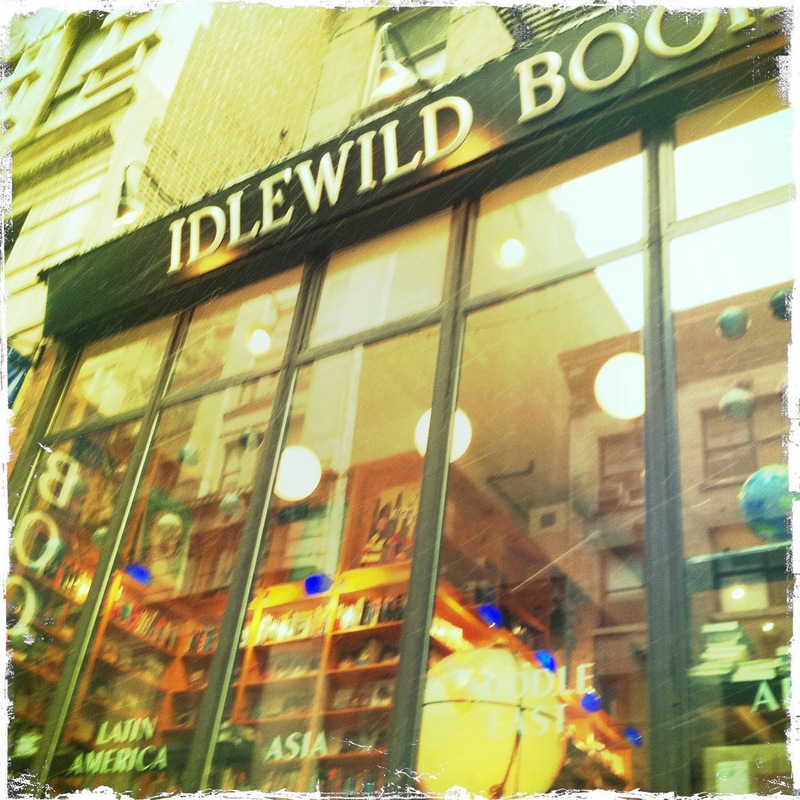 On the south side of the street is a store on the second floor with big, wide windows: Idlewild Books. I was delighted to discover this cozy, welcoming bookstore devoted to travel books, foreign books in translation, and books in French, Spanish and Italian. They also offer language classes and will order you any books they don’t carry (and possibly offer you a discount on it!). 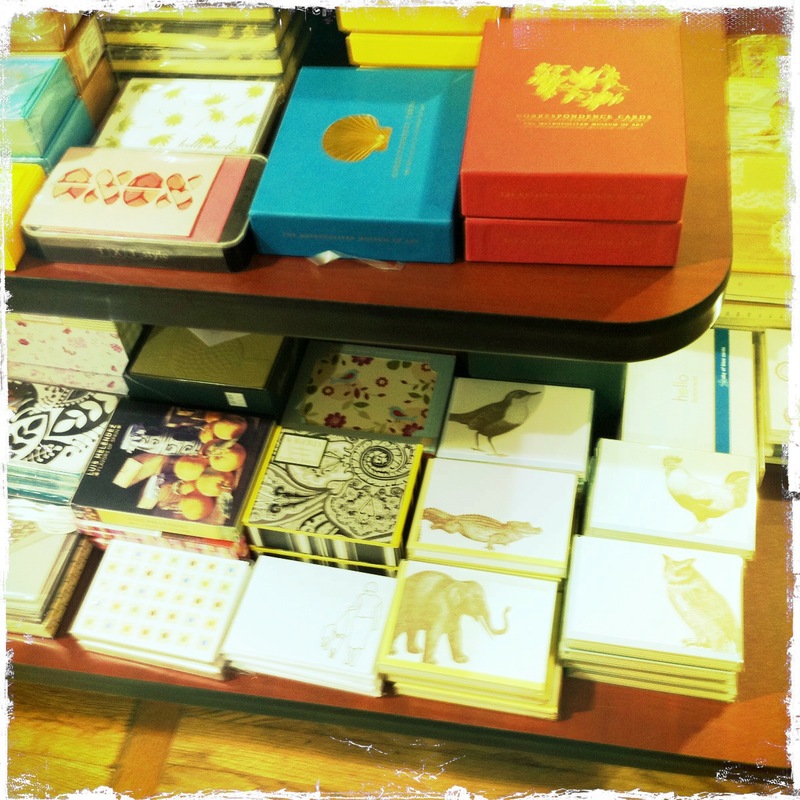 I would go here and browse the shelves when I was feeling particularly homesick for Paris. Granted, you might pay a bit of a mark up for a Livre de Poche, but that price is worth it for a little bit of escapism. Idlewild Books, where I buy more books in French than I can ever possibly read. Speaking of escapism of another kind, on the north side of West 19th street is Bottlerocket Wine and Spirit. They have an excellent selection of wines organized by region, cooking taste, price and other themes. The staff will never look down their nose at you. The best part is that even if you choose the lowliest $9 bottle of red wine they cheerfully print out tasting notes for you. I feel like I enjoy everything I buy there more because it’s just such a pleasant experience! There’s many other delights tucked into these streets, most notably the Japanese answer to Ikea, Muji, and the chidren’s book emporium Books of Wonder and the Cupcake Cafe, but I will leave you to discover them. However, if Paper Presentation didn’t provide what you were looking for there is also A.I. 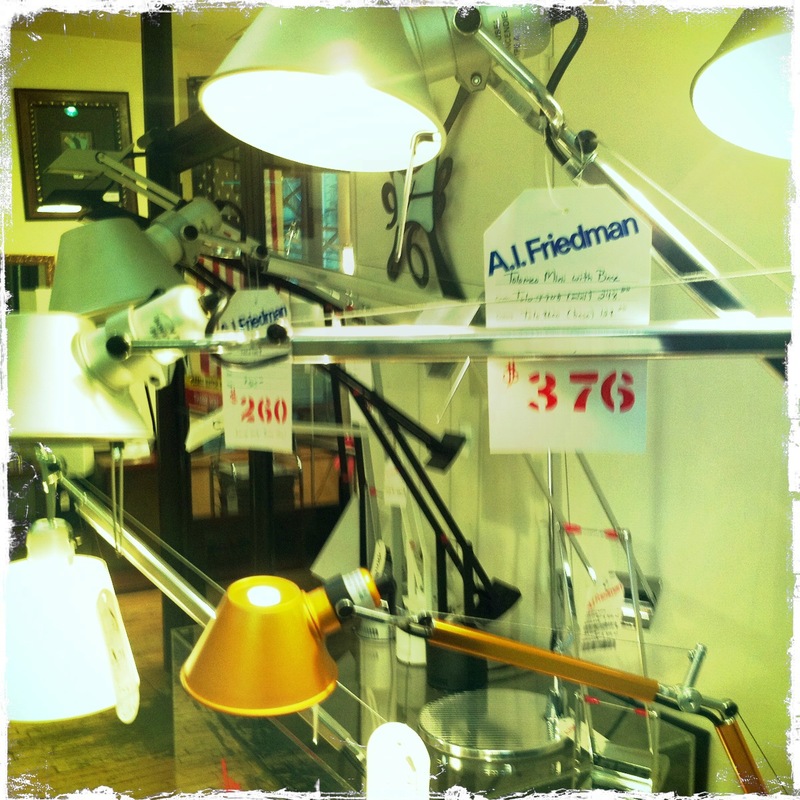 Friedman for office supplies, framing, art supplies, and office furniture. 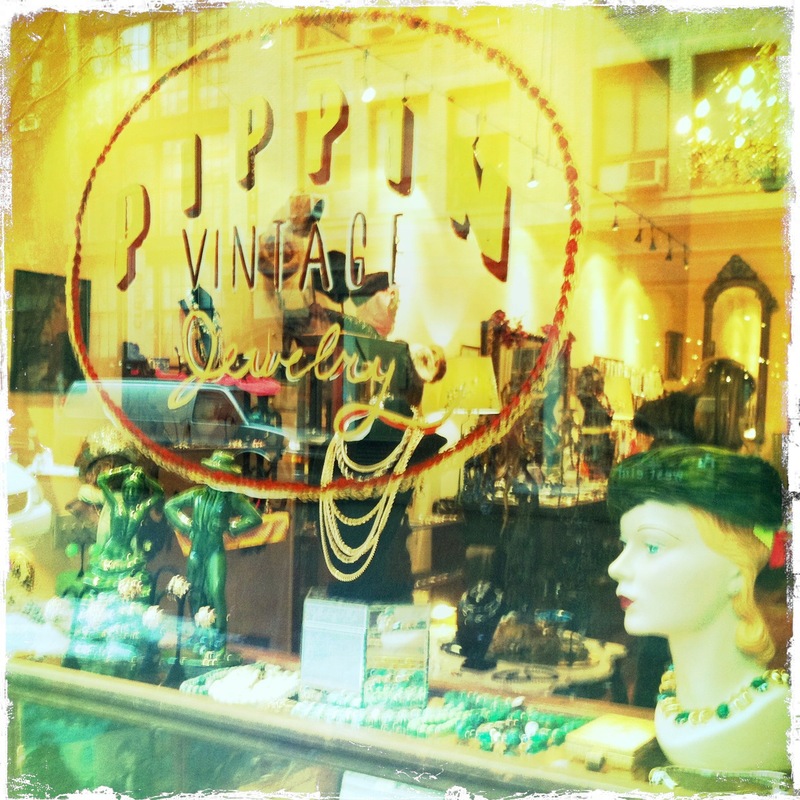 Finally, though it takes you a little off the block, for that perfect accessory you are looking for, cross 6th avenue, walk down to 17th street and pop into Pippin Vintage Jewelry. They also have a tiny house behind their store full of vintage home goods. You will feel like you’ve stepped into a fairytale cottage in the middle of Chelsea. Pippin Vintage is tempting and very reasonably priced! 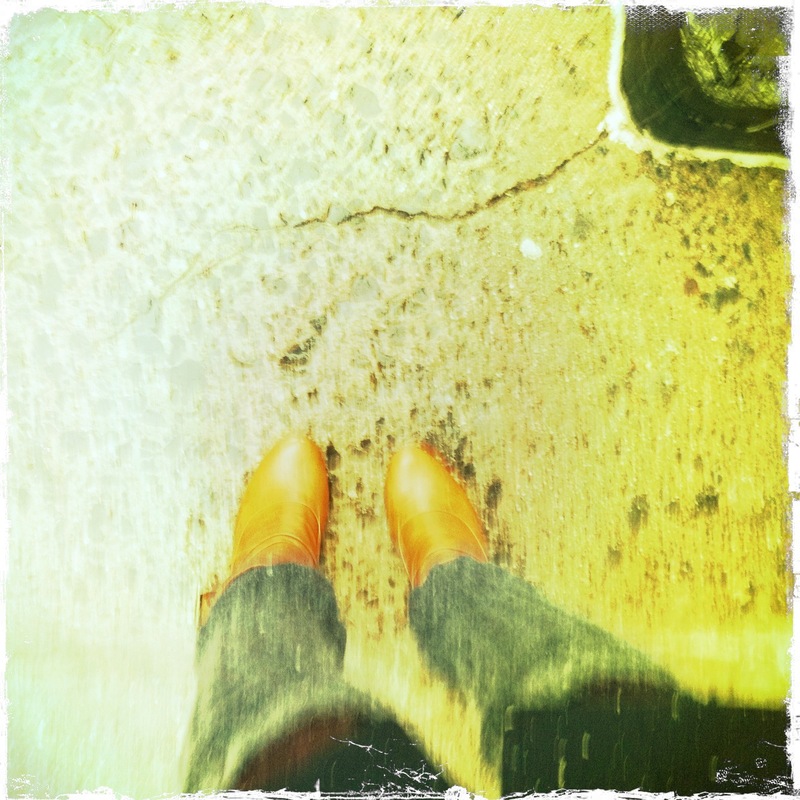 And what to wear for a walk around the block in the snow? A girl detective outfit, legwarmers and high heel boots, of course. 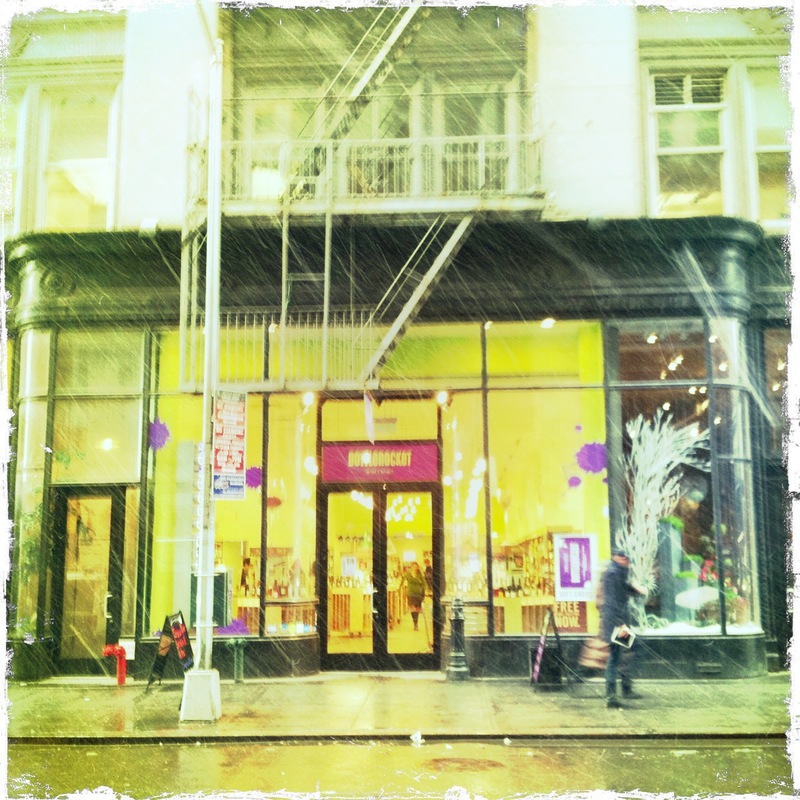 This entry was posted in Fashion, Food, New York and tagged A.I. Friedman, Bottlerocket, Chelsea, City Bakery, Croissant, Flatiron, Hot Chocolate, Idlewild Books, New York, Paper Presentation, Pippin, Pretzel, Vintage. Bookmark the permalink. 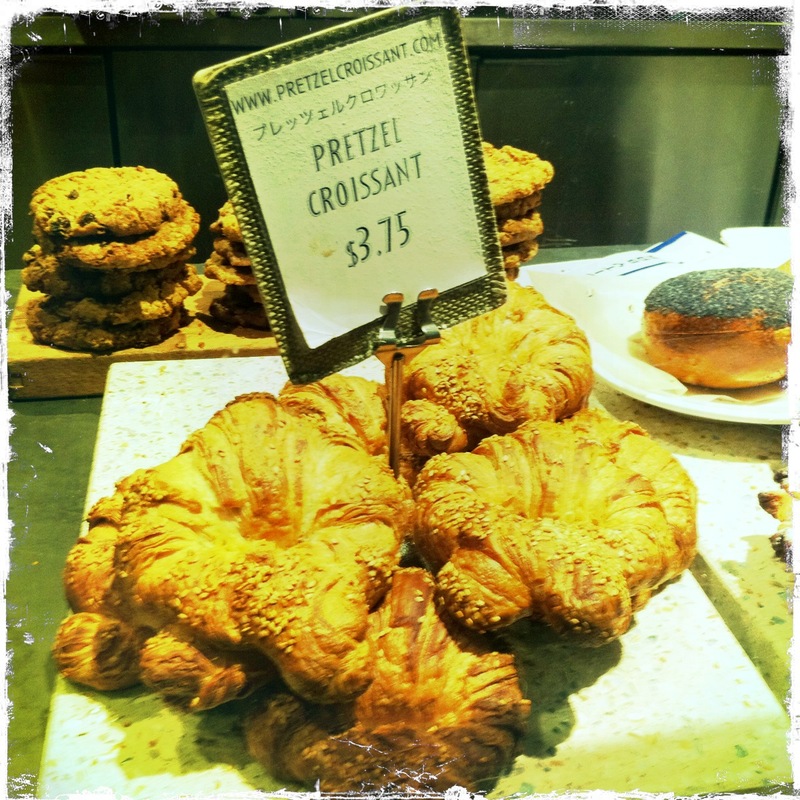 OMG pretzel croissants? I’ve never had one of those. Dangerous. So incredibly dangerous! They are a City Bakery original and while I am happy/sad that my new employment will take me out of the neighborhood it might be good, because 2+ pretzel croissants a week is not good for my wallet or waistline! I am going to have to check out that paper place! When I have willpower. I love A.I. 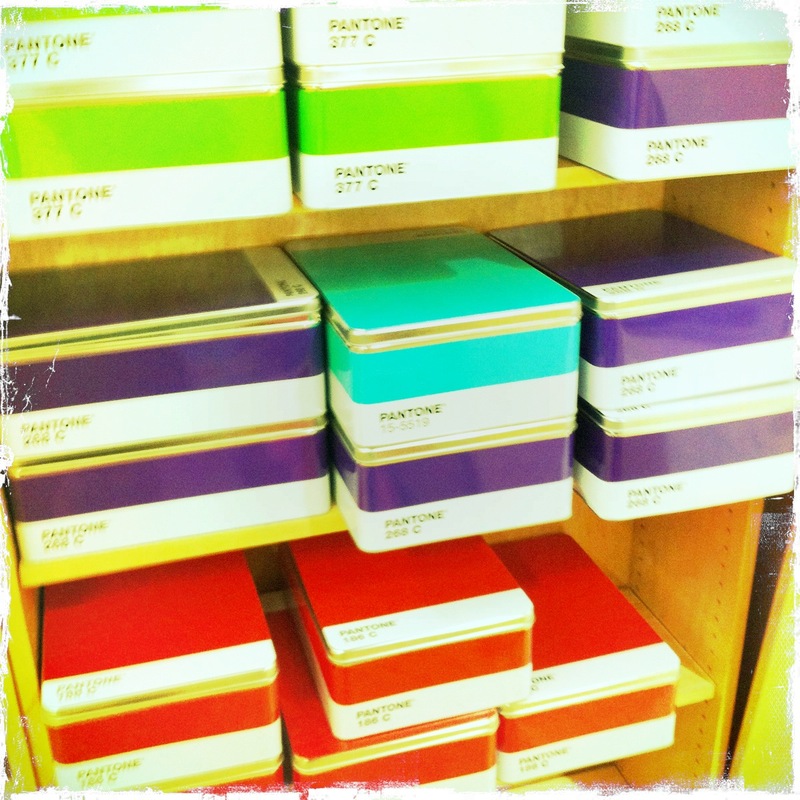 Friedman and I wish those Pantone boxes came in banker box size! I just searched around online to no avail.